Lenin Collected Works, Volume 23, pages 362-364. This report is a paraphrase of a telegram appearing in the chauvinist Italian paper, Corriere della Sera, Milan, March 29, and sent there from St. Petersburg on March 26, at 10:30 p. m. To explain to the reader the falsification, a thing quite usual among the chauvinists, I must go back a bit. Under the “old regime”, i. e., from April 1912 to July 1914, there was published in St. Petersburg a daily Social-Democratic paper, Pravda. It was, in fact, the organ of the Central Committee of our Party, the Russian Social-Democratic Labour Party. I used to contribute to it almost daily from Cracow, where I then lived as a political émigré. The Social-Democratic Duma members, Badayev, Muranov, Petrovsky, Shagov, Samoilov (up to the summer of 1914 the group included also Malinovsky), who belonged to our Party and whom the tsar later exiled to Siberia for agitation against the imperialist war, regularly came to Cracow, and we discussed the policies of the paper. The tsarist government naturally tried not only to surround Pravda, whose circulation reached as much as 60,000, with spies, but also to plant provocateurs on its staff. Among these provocateurs was Chernomazov, known in the Party as Miron. 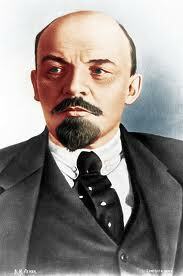 He managed to gain the confidence of the Party, and in 1913 became the secretary of Pravda. Having observed, together with the group of Duma members, Chernomazov’s activities, we came to the conclusion, first, that his articles compromised our political line, and, second, that his political integrity was open to suspicion. However, finding a substitute was not easy, all the more so since communication between the Duma group and Cracow was maintained illegally, or through the Duma members visiting Cracow, which they could not do very often. Finally, in the spring of 1914, we succeeded in bringing Rosenfeld (Kamenev) over to St. Petersburg, but toward the end of 1914, he was exiled to Siberia together with our Duma group. Rosenfeld (Kamenev) was instructed to remove Chernomazov, and he did remove him from all the affairs of the paper. Chernomazov was dismissed. Our Central Committee ordered an investigation, but since it was impossible to find accurate evidence to substantiate the suspicions against Chernomazov, the St. Petersburg comrades did not venture openly to brand him as a provocateur. We had to confine ourselves to discharging him from Pravda. That Chernomazov, and of course other provocateurs, helped the tsar banish our Duma members to Siberia, of that there can be no doubt. A communication from our Party’s St. Petersburg “Central Committee Bureau” of November 13, 1916 said Chernomazov was again trying to get into the illegal organisation, that the “Bureau” had removed Miron and an individual connected with him from the organisation, and would “take similar action against anyone who continued to have any dealings with him”. Our reply, of course, was that Chernomazov should not be allowed in the Party, for he had been removed by a decision adopted by the Central Committee and the Duma group. Such is the story of the old Pravda, published under the old regime and suppressed by the tsar before the war, in July 1914. The question arises: Was not Chernomazov, directly or indirectly, connected with the new Pravda, which began publication in St. Petersburg alter the revolution? About this I know nothing, for from the first day of the revolution the Guchkov-Milyukov government does not allow my telegrams to reach Pravda, and, of course, Pravda’s telegrams to reach me. I do not even know whether the C. C. Bureau is still in existence, or whether Kamenev and the Duma members have returned to St. Petersburg. They know Miron and would have immediately removed him if he had again wormed his way into the organisation by taking advantage of the fact that new people were in charge. The French social-chauvinist paper l’Humanité of March 28 quoted a telegram supposedly received from St. Petersburg by the Petit Parisien. In this telegram Chernomazov is referred to as the “former editor of the extremist Social-Democratic paper Pravda”. The reader will, I hope, now understand the perfidy and the foul methods employed by the government of Guchkov-Milyukov and its friends in their attempt to cast a shadow on our Party by alleging that it is working in collusion with the old regime and the enemy. The government and its friends hate our Party and slander it, because we declared, as far back as October 13, 1915, in No. 47 of our paper Sotsial-Demokrat (Geneva), that we were unconditionally opposed to the imperialist war, even if it were to be conducted not by the tsarist government, but by a chauvinist-revolutionary, chauvinist-republican Russian government. The Guchkov-Milyukov government is such a government, for it has confirmed the predatory treaties tsarism concluded with Anglo-French imperialism and in this war is pursuing predatory aims (the conquest of Armenia, Galicia, Constantinople, etc.). This article appeared in Volksrecht, April 5 (No. 81) and in abridged form in Avanti!, April 10 (No. 99). Judging from J. S. Hanecki’s letter of March 24 (April 6) to the Bureau in Russia of the R.S.D.L.P. Central Committee, the article was sent to Petrograd on March 22 (April 4). It did not appear in Pravda, presumably be cause the role played by the police agent Chernomazov had already been explained in the press. Corriere della Sera—an influential Italian capitalist newspaper, founded in Milan in 1876. Petit Parisien—a daily mass-circulation yellow sheet published in Paris from 1876 to 1944. During the first World War its pages were devoted to jingoist propaganda of the very worst kind.